Isn’t it strange how sometimes a passage leaps off the page and really makes you think? 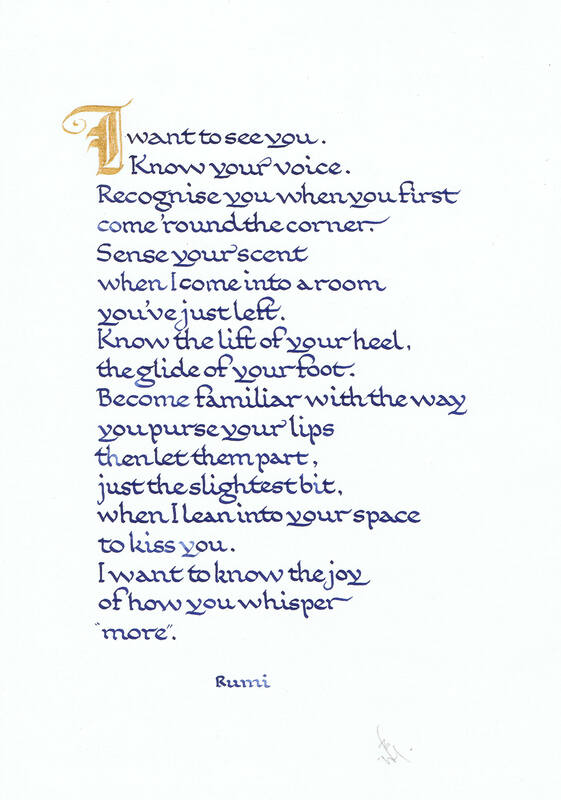 Rumi has long been an inspiration for me, though I can’t say that I totally live up to his Ideals. 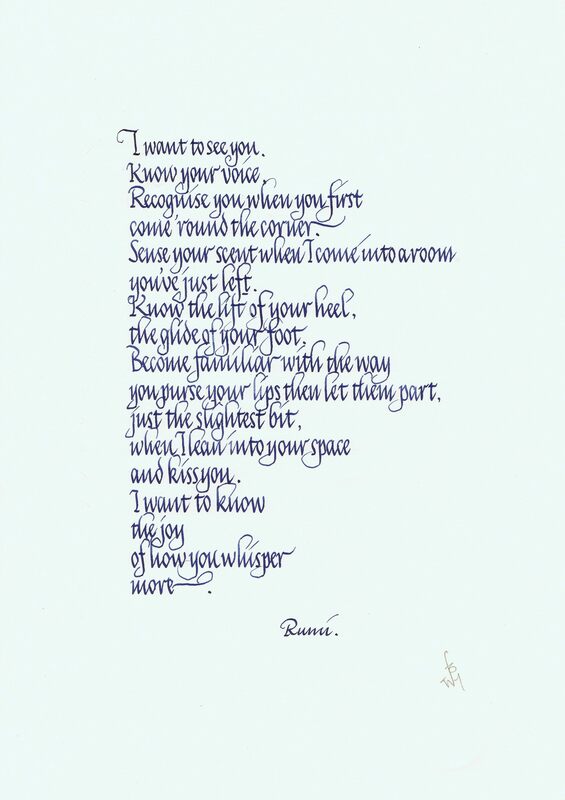 This piece speaks out, I believe, to everyone who has ever been in love, so feel free to copy one of these and send it to your special someone. If you would like an original take your pick of three I have listed. This link will take you to my eBay page where you will find all three versions. The first is A4 size. Roundhand. x height 1/8″. A3 sizeItalic. x height 1/4″. A3 size. Italic. x height 1/4″. Hoping you all have a great Valentines day. This entry was posted in ,calligraphy,calligraffiti,lettering, how to, St Valentine's day and tagged calligraphy, eBay, Italic, roundhand alphabet, Valentine's day. Bookmark the permalink. Many thanks. I’m glad you like them. Look Rumi up for many more thought provoking words.